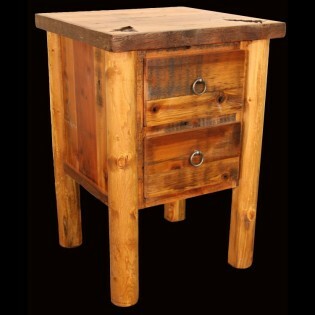 Enjoy plenty of bedside storage with the two spacious drawers in this rustic nightstand. Our Barn Wood and Log 2 Drawer Nightstand features clean peeled log corner posts and recycled barn wood that has a clear finish to highlight the natural beauty of the woods. 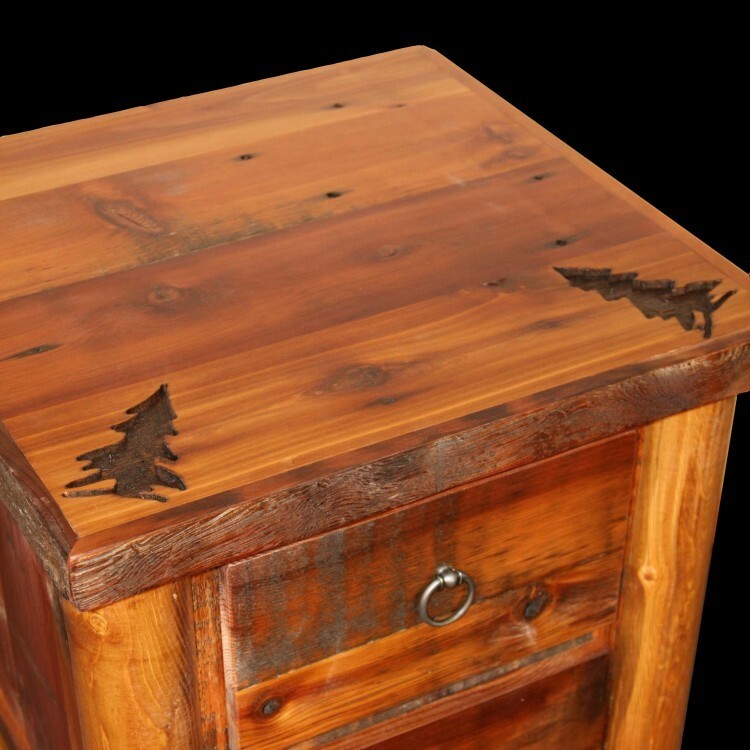 It is further accented with two carved images of your choice on the top.